ASICS GEL Rocket 8 volleyball shoes are marketed as a top-level shoe with an affordable price tag. As the number 8 suggests, this most current GEL Rocket offering is the 8th version of the popular ASICS GEL Rocket series. It continues to be a popular choice for volleyball players and many other indoor and outdoor sports and exercise related activities. The ASICS GEL Rocket 8 is available in the following 4 color schemes with the first color being the base and the additional colors used either in the emblem, upper or tongue – White/Black/Silver, White/Deep Ocean Blue/Red, Black/Black/White and Indigo Blue/Silver/White. amazon.com appears to be the only online retailer that offers the Indigo Blue/Silver/White color scheme. Sizing ranges from US Mens 6 to 15 with half sizes up to 12.5. The largest number of ASICS GEL Rocket 8 review postings can be found at amazon.com dating back as far as July 2017. Approximately 65% of the more than 230 plus reviews for the GEL Rocket 8 give it a 5 out of 5 star rating. Zappos.com and asics.com both have a good mix of helpful and informative reviews. Although specifically listed as a volleyball shoe on amazon.com, the GEL Rocket 8 is listed as a multi-court shoe on the asics.com homepage which more accurately depicts the versatility of this shoe. This versatility is well represented throughout the many online reviews of the GEL-Rocket 8. The Pros and Cons sections below provide a summary overview of the most helpful reviews. Statements like “Excellent grip” “nice comfortable shoe” “perfect for volleyball” “great style and fit” are all common themes mentioned many times throughout the more than 100 plus positive amazon.com reviews. Although volleyball is the highlighted use for this shoe, reviewers have mentioned tennis, fencing, racquetball, squash, pickle ball, badminton, handball and more. Value, as in “Great shoe for the price” and “great price” was emphasized more than a few times among positive reviews. For most reviewers, sizing was “true to size” with some saying that even though the shoe felt either “snug” or “loose” it was still comfortable. The majority of all critical reviewers had comfort, sizing and fit issues with the ASICS GEL Rocket 8. The shoes were either too loose, too tight or too stiff according to most of the 3 and 2 star reviews. Several reviewers with previous GEL Rocket series shoe experience provided detailed and helpful comparisons with older 6 and 7 series GEL Rocket shoes. One critical reviewer with over 6 years and 10 pairs of GEL Rocket shoe experience listed a few of theses comparisons. Some notable ones include poor arch support, less breath-ability due to minimal amount of mesh and overall lower quality construction when compared with previous GEL Rocket series shoes. Based on the majority positive reviews, the ASICS GEL Rocket 8 shoes appear to be a great option to consider for volleyball and many other sports and recreational activities. The ASICS GEL Rocket 8 is available direct through asics.com and most major online retailers like amazon.com, zappos.com and others. Current pricing ranges from $50 up to $70 depending on the retailer and available stock. 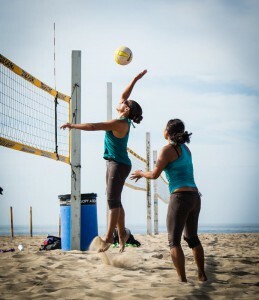 Volleyball Essentials recommends amazon.com for their competitive pricing and available sizes and colors.